Congratulations! 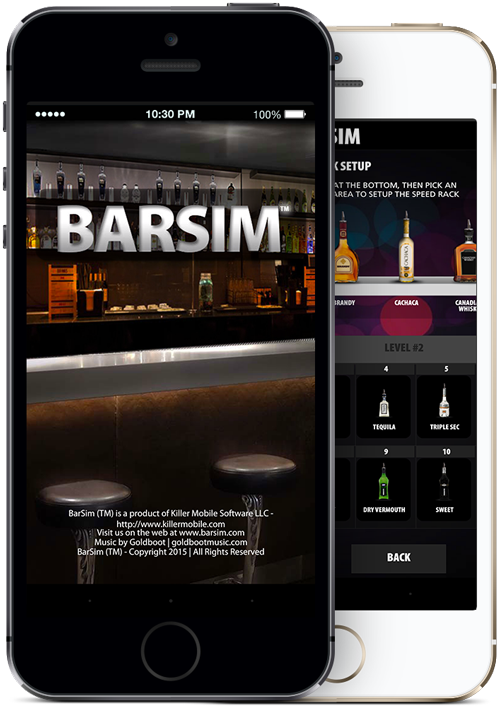 You've just found what is not only the most interactive, innovative Bartending Game, but the most interactive & innovative game ever developed for mobile phones - period! Three years in the making, we've tirelessly worked to ensure that every step in the drink making process has been represented. 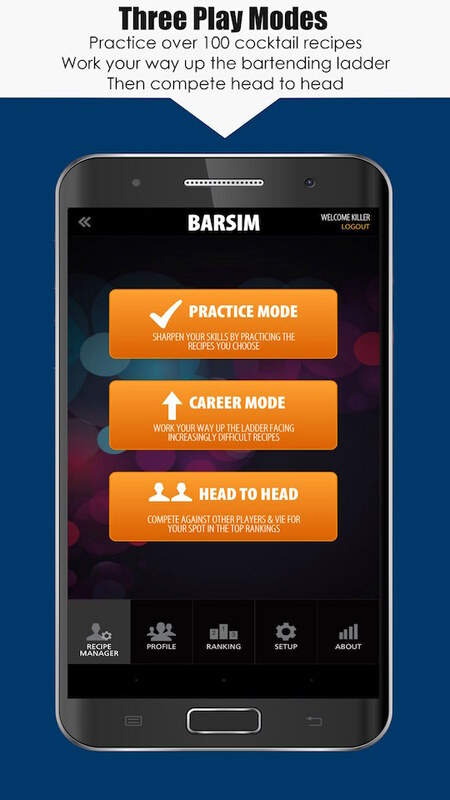 In fact, we're certain that once you've mastered BarSim Bartender Game, you can easily take the same skills to the real world. 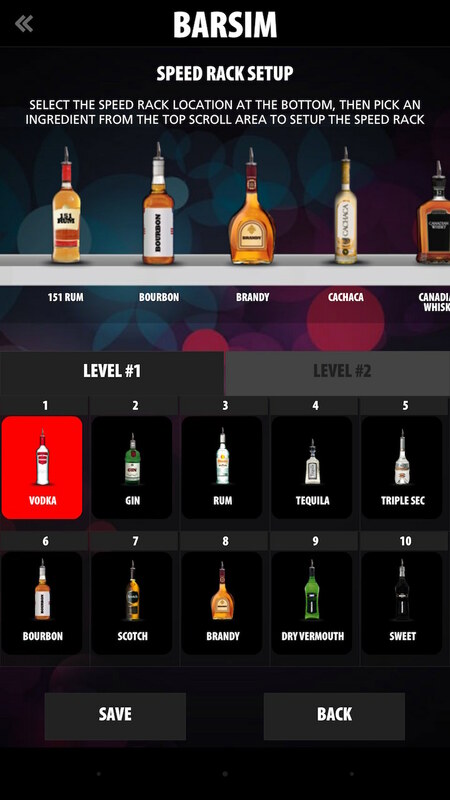 It doesn't matter if you've never poured a drink in your life, or you're already a veteran bartender, this game will challenge your skills and be a whole lot of fun. 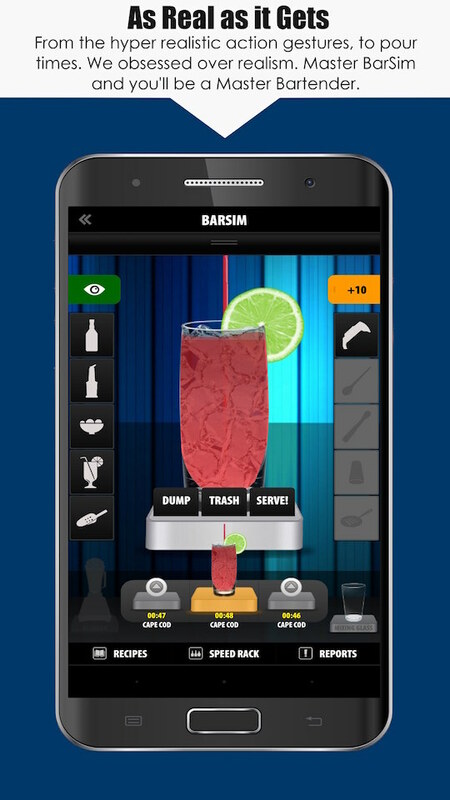 BarSim™ utilizes hyper realistic "motion gestures" - the same motions you'd use when Bartending & Making Cocktails in real life - so when it's time to pour, you will quite literally pour. When it's time to shake, you will quite literally shake. But don't worry, we realize sometimes this may not be the preferred way to play, so we've built in simpler finger gestures as well. 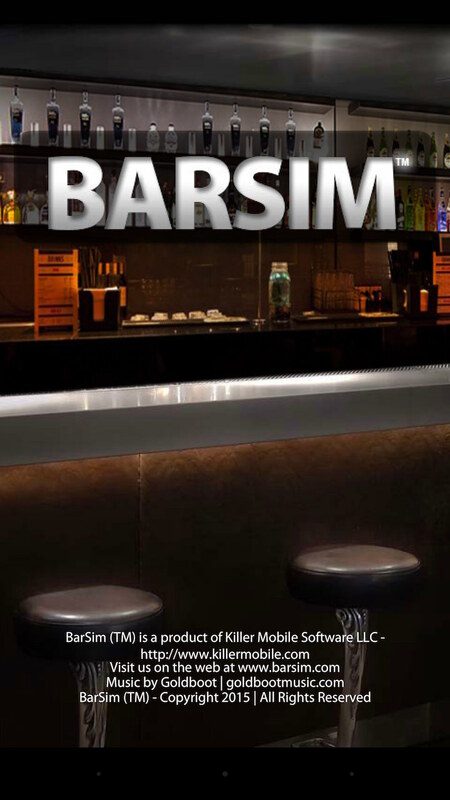 When making Cocktails in BarSim™ every aspect is scored & critiqued, including glassware & ingredients used, amounts poured, proper technique including Shaking, Stirring, Muddling & Blending (including how long you perform the action), as well as proper use of garnishes. 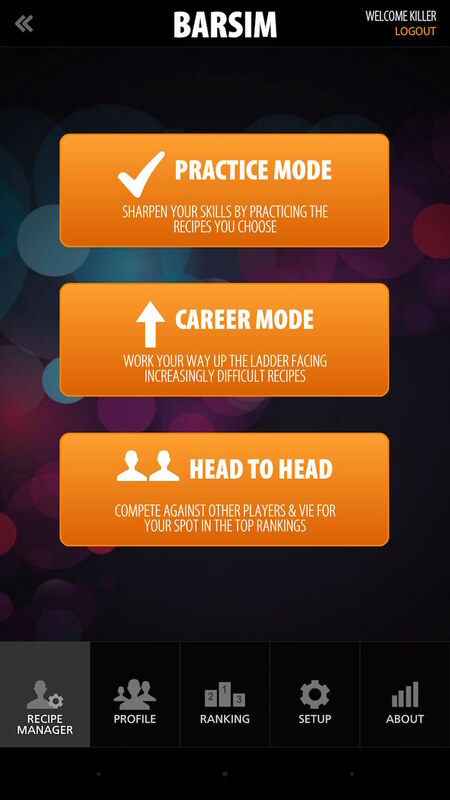 You're also timed, so don't spend too much time looking up the recipe if you've forgotten it already. 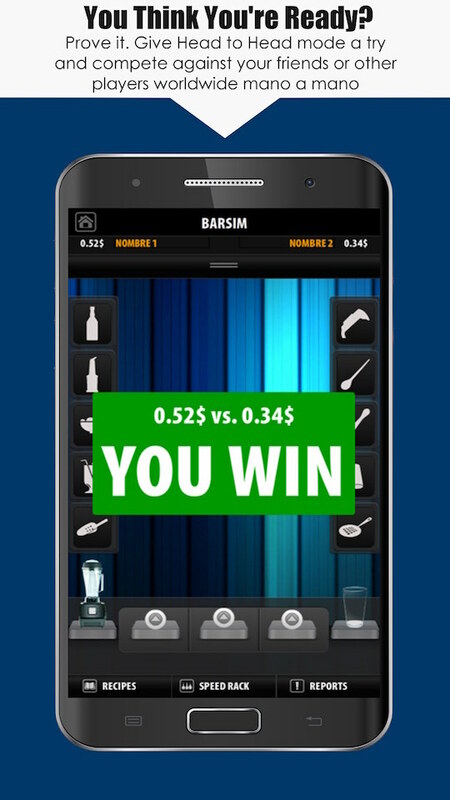 And for the clever one's, we've built in a few "secret" flair moves, which will help boost your tip even higher! 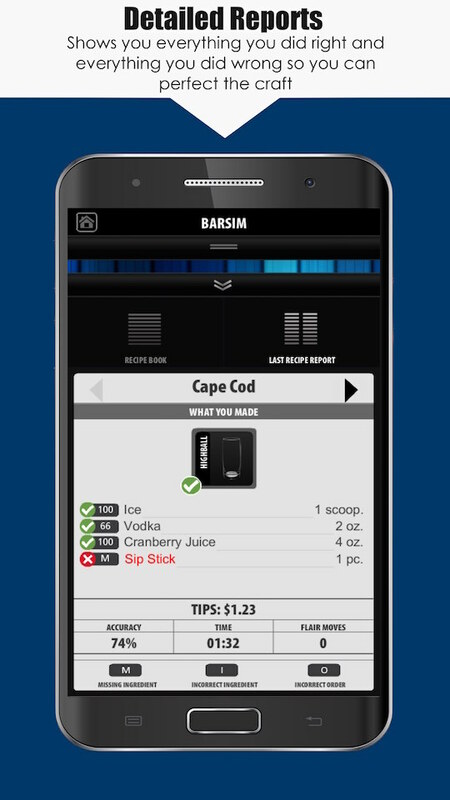 Speaking of tips, these aren't simple points you're earning. 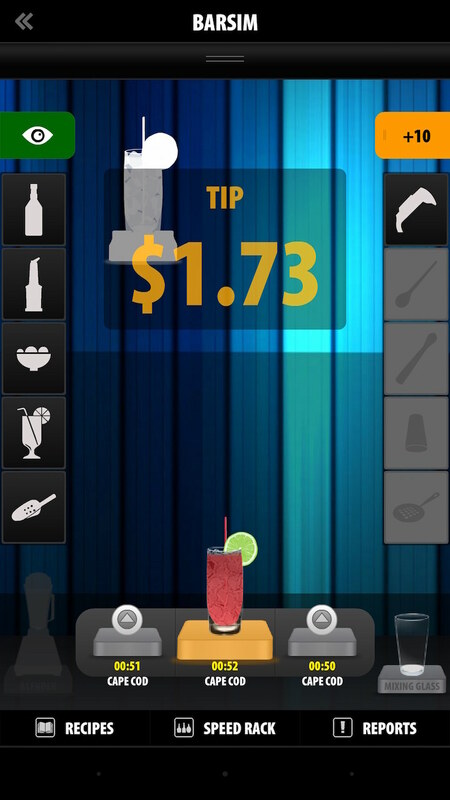 Tips can be traded for special upgrades and in-app features that will make the drink making process faster & easier, which will come in handy when you're ready to compete in Head to Head mode. 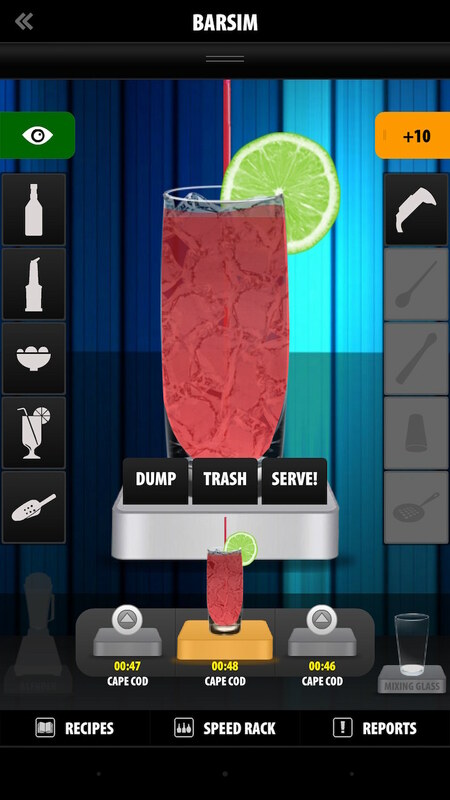 We've included over 100 of the most popular, common drink recipes in this Bartender Game. However for the power users out there, don't fret. 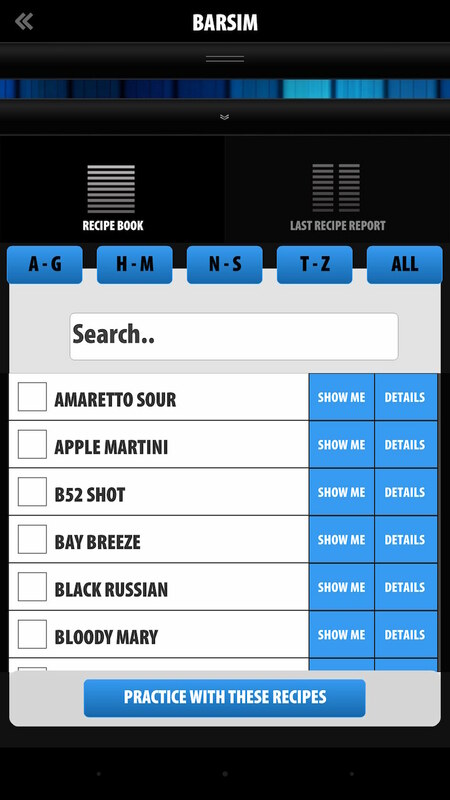 Upgrade to add in the Recipe Editor feature and you'll be able to Add & Edit Existing recipes to your heart's content. 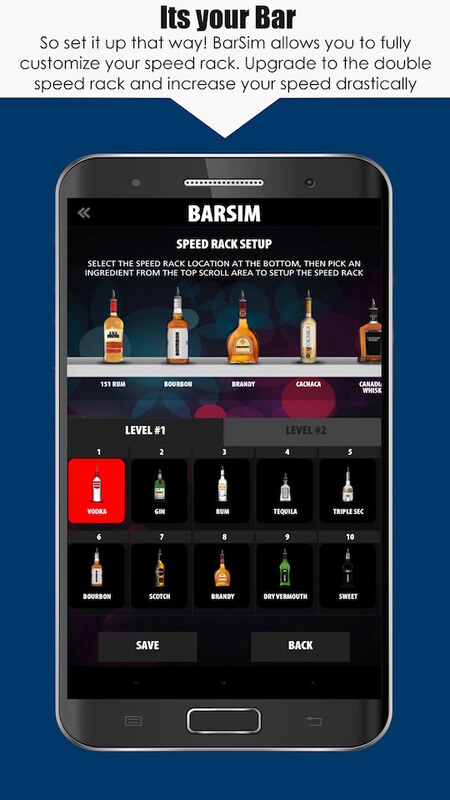 And don't forget, the Speed Rack is 100% customizable, which is a valuable tool to use if you're looking to optimize your drink slinging speed. 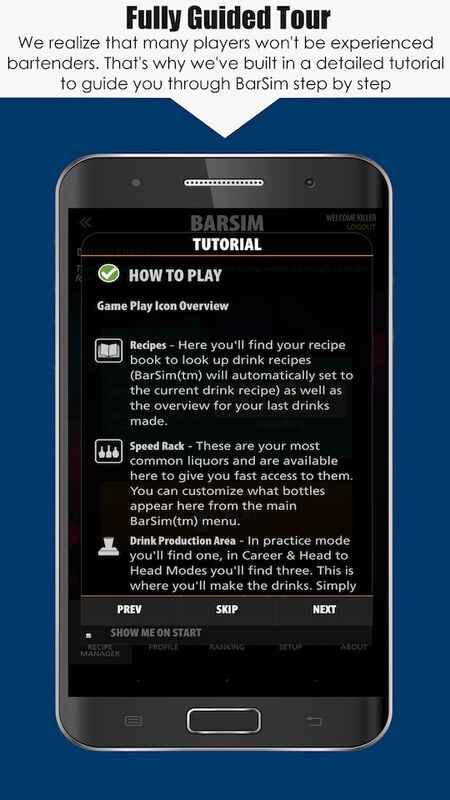 With practice mode you get to choose which drinks to practice and can even view full visual tutorials for making every drink in the recipe books. 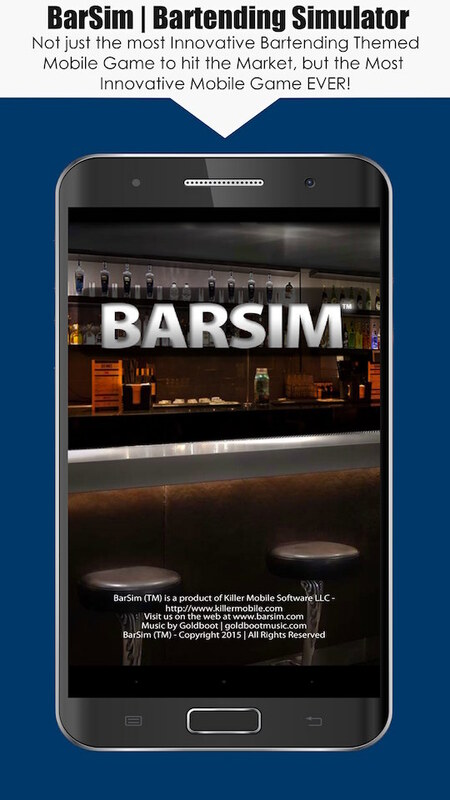 Work your way up the ladder with increasingly difficult drink recipes and even more demanding performance requirements. 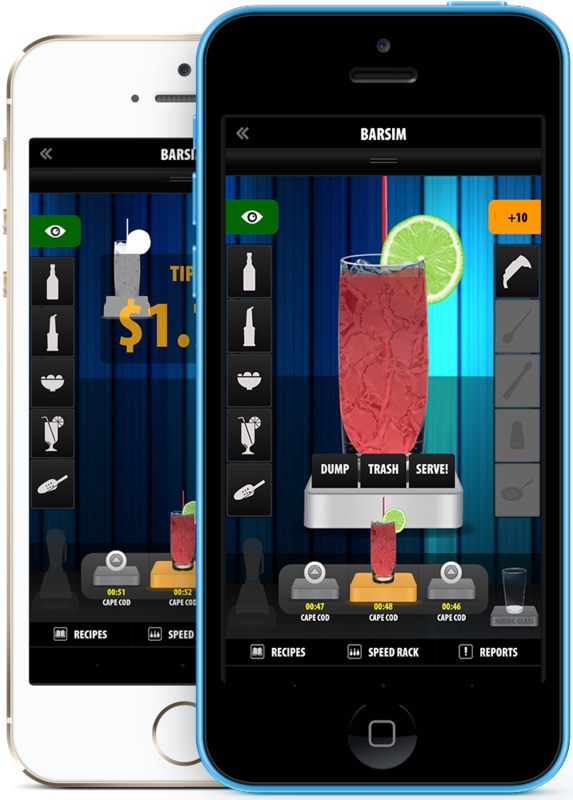 Play head to head against your family, friends or any other BarSim player world wide and earn your space on our global leader board to show everyone just who is the best bartender around.